Dr. Elmesiry is a Lecturer/Senior Lecturer in Computing. He is the M.Sc. Project Tutor and Module Leader for Internet Technologies, and Digital Investigations. Dr. Elmesiry previously worked as a software engineer (CompuNet Company), network troubleshooting engineer (Cisco Systems), Data mining engineer (FeedHenry - startup company currently acquired by RedHat) and freelance Malware Analyst. In 2009, Dr. Elmesiry was a researcher at the Telecommunications Software & Systems Group, Ireland, where he was conducting research in various European funded projects. In 2014, Dr. Elmesiry obtained a research fellowship from the center for advanced technology in telecommunications and secure systems at Monash University, Australia, where he was leading an industrial project related to quantum key distribution in optical access networks. Additionally, He obtained a second research fellowship from the Swedish research cluster on the Internet of things, where he was leading a research group working on an industrial project related to securing IoT solutions for smart homes funded by The Swedish Knowledge Foundation Vinnova and KK-Stiftelsen. 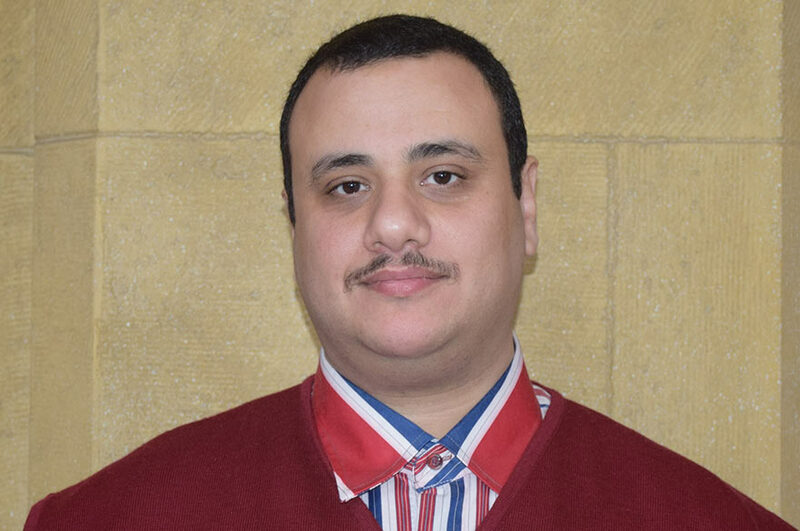 Dr. Elmesiry has more than 10 years of Research/Industrial Experience in Network Security, Malware Analysis, Information Security, Privacy Enhancing Technologies and Networked Services. He has worked on several commercialization projects and international projects in areas involving cybersecurity, privacy, and trust such as ICT FP7 SOCIETIES funded by The European Union 7th Framework Programme for Research and Technological Development and PRTLI HEA FutureComm funded by Higher Education Authority, Ireland and the European regional development program and has been working with the Swedish research cluster on the Internet of things for the last four years, where he coordinated a research group working on a project related to securing IoT solutions for smart homes funded by The Swedish Knowledge Foundation Vinnova and KK-Stiftelsen. Additionally, he participated in various research activities in mobility, data mining and privacy that have been funded by the Open FET FP7 project MODAP. He is currently working on a Microsoft funded project related to "Adaptive Security for IoT Applications" and holds the position of an associate editor of the international journal of cloud applications, the international journal of fog computing and IEEE Access. His research interests include ( Applied cryptography, Privacy enhancing technologies, Multimedia security, IoT security, Digital forensics, Identifying Security Vulnerabilities, Malware analysis & detection, and Machine learning). The body of his work encompasses 6 patents, 3 books, 10 book chapters, more than 20 journal articles, and more than 45 conference papers in peer-reviewed international and national conferences. He also has received five best paper awards at different international conferences in Denmark, USA, Portugal, Malaysia, and Chile. Opportunities to carry out postgraduate research towards an MPhil /Ph.D. in the School of Science and Technology exist and further information may be obtained from the NTU Graduate School. Ahmed M. Elmisery. Private Personalized Social Recommendations in an IPTV System. Published in New Review of Hypermedia and Multimedia - Taylor & Francis- June 2014- vol.20 issue 2. Ahmed M. Elmisery, S Rho, Dimtri Botvich. Collaborative Privacy Framework for Minimizing Privacy Risks In Social Recommender Services Published in Springer International Journal of Multimedia Tools and Applications-September 2016- vol.75 issue 22, Pages 14927-14957. Ahmed M. Elmisery, S Rho, Dimtri Botvich. A Distributed Collaborative Platform for Personal Health Profiles in Patient-Driven Health Social Network. Published in International Journal of Distributed Sensor Networks, SAGE Publications, vol. 11 number 9, Sept. 2015. Ahmed M. Elmisery, S Rho, Dimtri Botvich. Privacy Enhanced Middleware for Collaborative Virtual Sub-Community Discovery in Implicit Social Groups. Published in The Journal of Supercomputing -January 2016, vol. 72, Issue 1. Ahmed M. Elmisery, S Rho, Dimtri Botvich. A Fog based Middleware for Automated Compliance with OECD Privacy Principles in Internet of Healthcare Things. Published in IEEE Access, vol. 4, no. , pp. 8418-8441, 2016. Ahmed M. Elmisery, Mirela Sertovic, and B. B. Gupta, Cognitive Privacy Middleware for Deep Learning Mashup in Environmental IoT. Published in IEEE Access, 2018. Mohamed Medhat Gaber, Adel Aneiba, Shadi Basurra, Oliver Batty, Ahmed M. Elmisery, Yevgeniya Kovalchuk, Muhammad Habib Ur Rehman, Internet of Things and data mining: From applications to techniques and systems. Published in Wiley Interdisciplinary Reviews: Data Mining and Knowledge Discovery, 2018. The Personal Website of Dr. Elmesiry.